Luke sees things a little differently to the rest of the boys in his class. They are happy to see and do as they are told but Luke sees different colours and different shapes. He sees things a little off centre. Because of this Luke feels as though he doesn’t fit in and his teacher is always shouting at him. Then one day he discovers a place full of things that show him others see the world like he does. Things there make him happy, finally he feels as though he is home. 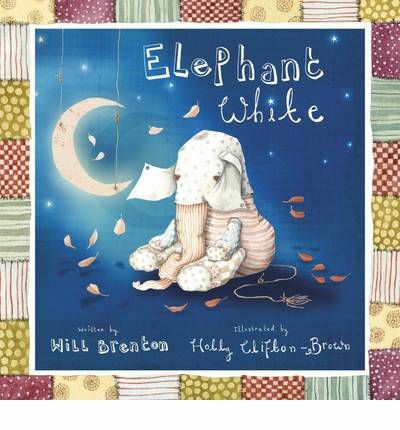 This CBCA Honour Book is a story about being different and celebrates that. 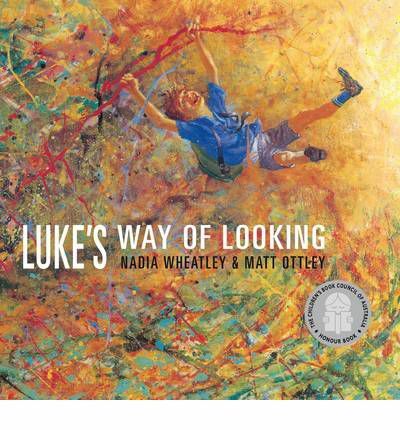 The story perfectly tells of Luke’s frustration and the illustrations wonderfully depict how it is to be creative and see more than what those around you see, from the flatness of most of life to the colourful explosion of things Luke imagines. An interesting book and definitely one to share especially with a creative child. Meet the Hueys. There are lots of them and the thing about the Hueys is that they are all the same. They look the same, they all do the same things. Until the day Rupert knitted himself a nice new jumper. 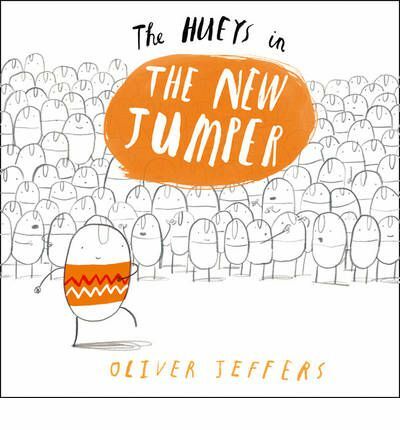 The Hueys thought this ‘being different’ was terrible until Gillespie decided he wanted to be different too. This is a funny little story about conformity and being yourself. The story is very simple, the illustrations very basic – predominantly black and white with just a few splotches of colour. This is suitable for the very young listeners, but to be honest not my favourite Jeffers picture book. Lucy thinks Elephant White is wonderful. He is patchy white and they play very special games together, he is her favourite toy. Well he is until the day she gets a surprise present. Sad at being left alone Elephant White sets out to find a new place to belong, somewhere he will fit just right. He tries the circus, being a pirate, and even a pilot. Will one of these place be just right for Elephant White? A quirky little story about feeling left out, trying to fit in and friendship. There is enough text to keep an older picture book reader interested in the story. The illustrations are stylised and interesting. A cute story.